This year’s red carpet for the Cannes Film Festival might as well turn green. 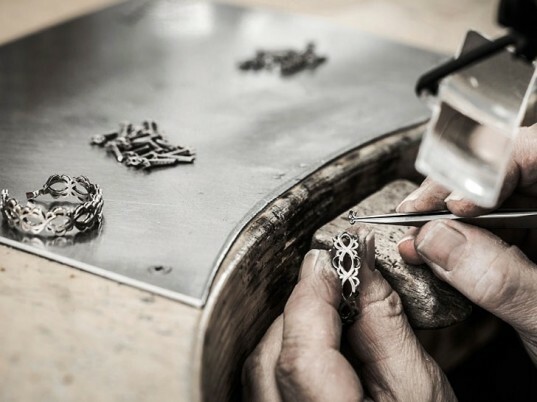 In a collaboration with the Alliance for Responsible Mining, the sculptor of Cannes’ iconic and prestigious Golden Palm trophy, Chopard, will present a line of sustainable and ethical gold jewelry. Celebutantes all dolled up for the festival can have piece of mind sporting Chopard’s jewels, which sources gold from small, environmentally sound mines in Colombia and Ecuador. Supported by Eco-Age founder, and wife to Colin, Livia Firth, the line will strengthen Chopard’s 15 year involvement with Cannes by debuting during the festival. The Alliance for Responsible Mining is also an important partner, as their focus is not only helping small scale miners, encouraging fair trade, but also to help assist environmental issues caused by large scale gold mining. Chopard’s green gold supply will remain transparent, from mine to necklace, joining the ranks of traceable and conflict-free diamonds also supported by Firth. The sustainable jewel and gold line was designed with the theme of love in mind, including a premier floral ring packed with rubies, emeralds, colored diamonds in white gold- all sustainably sourced of course. The love theme will continue with an “In Love with Cinema” exhibition, featuring photographs of Hollywood icons throughout history locked in silver screen worthy smooches. 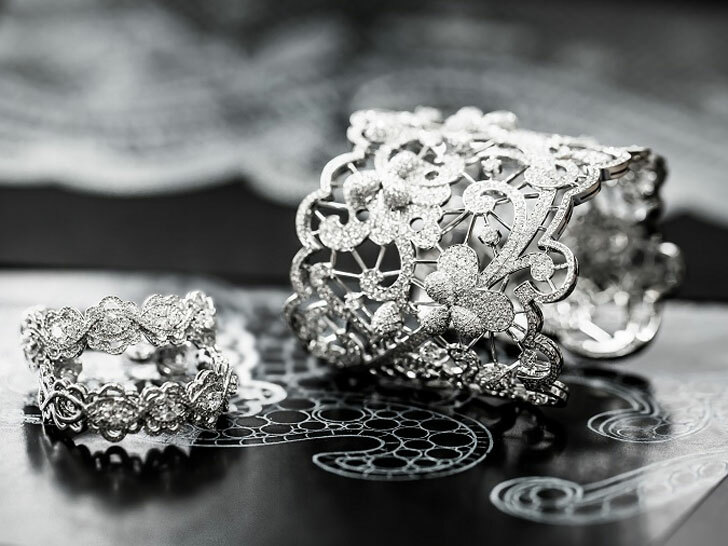 Furthering Chopard’s homage to Cannes, the collection will debut with 66 pieces, one for every year of the Cannes Film Festival’s history. Firth, Chopard and ARM will add eco-conscious glamour to this year’s Cannes Film Festival, maintaining its iconic glitz, while honoring the historic festival itself. This year�s red carpet for the Cannes Film Festival might as well turn green. In a collaboration with the Alliance for Responsible Mining, the sculptor of Cannes� iconic and prestigious Golden Palm trophy, Chopard, will present a line of sustainable and ethical gold jewelry. Celebutantes all dolled up for the festival can have piece of mind sporting Chopard�s jewels, which sources gold from small, environmentally sound mines in Colombia and Ecuador.